In the past decade 'the Road to the Bridge' (from whence 'Briggate' comes) has seen major redevelopments. 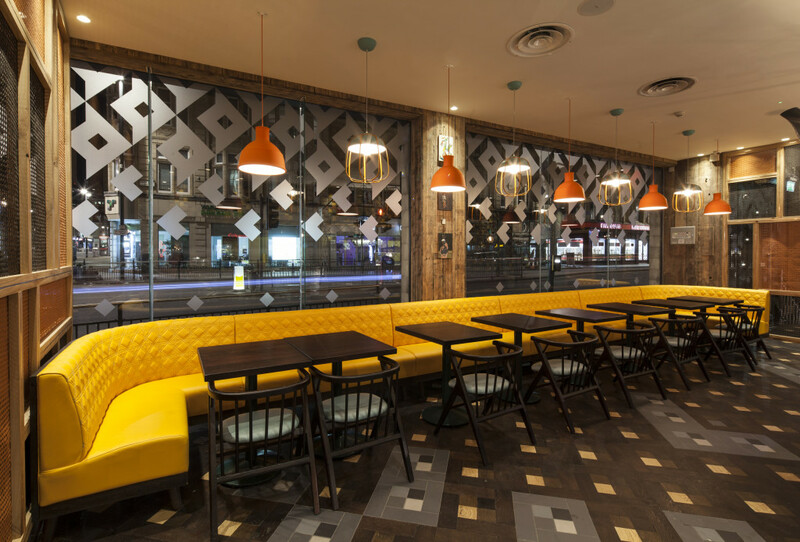 Set in the commercial and retail heart of Leeds, with numerous eateries and restaurants established and new ventures opening, Nando's latest refurbishment in the city needed that extra special 'something' when it came to its look. Moreno Masey were entrusted the task. They in turn looked to Craftwood for their seating requirements. 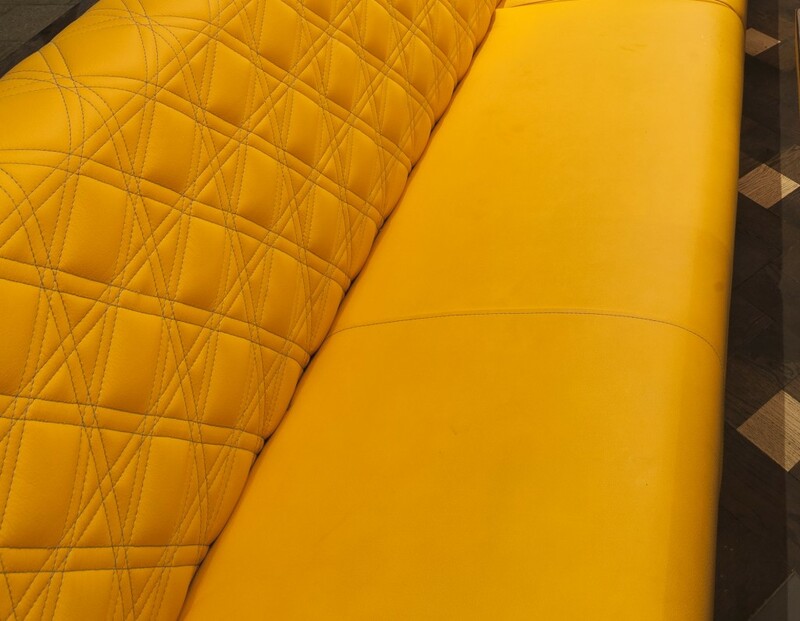 The yellow piping and contrast buttons adds an extra flourish when set against the rich magenta leather in this fine example of Craftwood's bespoke float button back seating. The custom stitch detail seen below lends a particularly unique look.The decor is reminiscent of rattan lattice work, which is used elsewhere in the venue. …its stitch pattern similarly inspired by traditional rattan work. ...which deftly follows the floor plan layout maximising accommodation while the seating and decor make the space seem particularly inviting. The novel shaped flute back seating booth provides for a more intimate dining experience while avoiding a closeted feel. 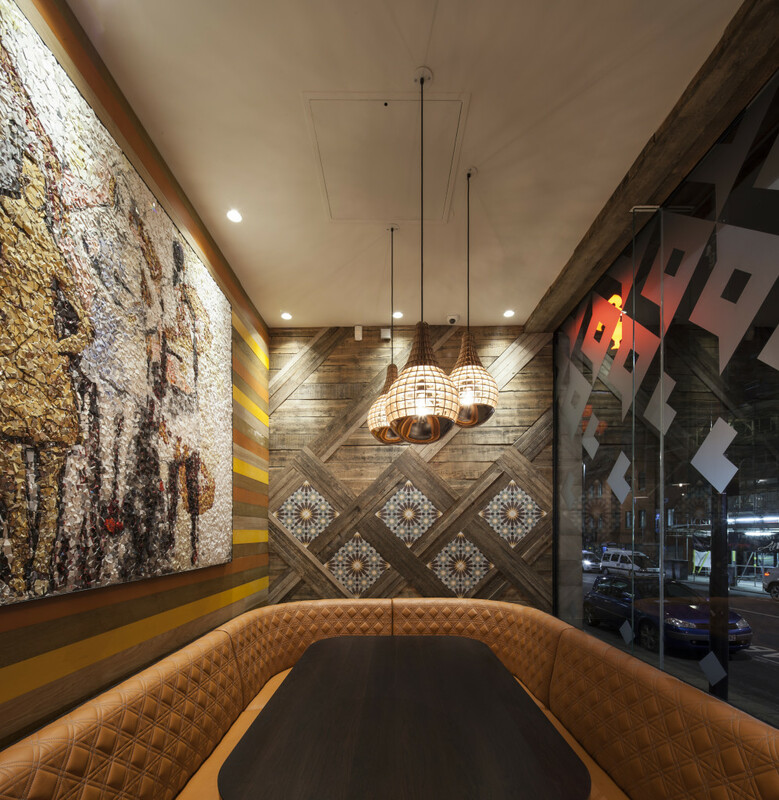 Nando's were so proud of their new Briggate interior it prompted a 'before and after' competition on social media with the restaurant chain challenging rivals to come forward to match it. In the words of one customer, posted on TripAdviser, it was one of the "most new and swankiest" Nando's they had ever been to. 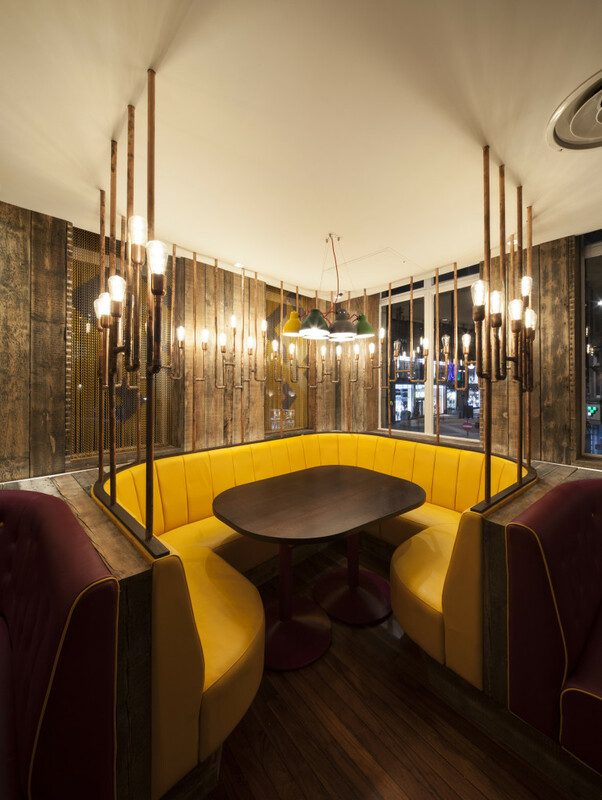 Bearing in mind the overall standard of Nando's interior design work this was praise indeed, and it would appear that no rivals have as yet come forward to take up the gauntlet. 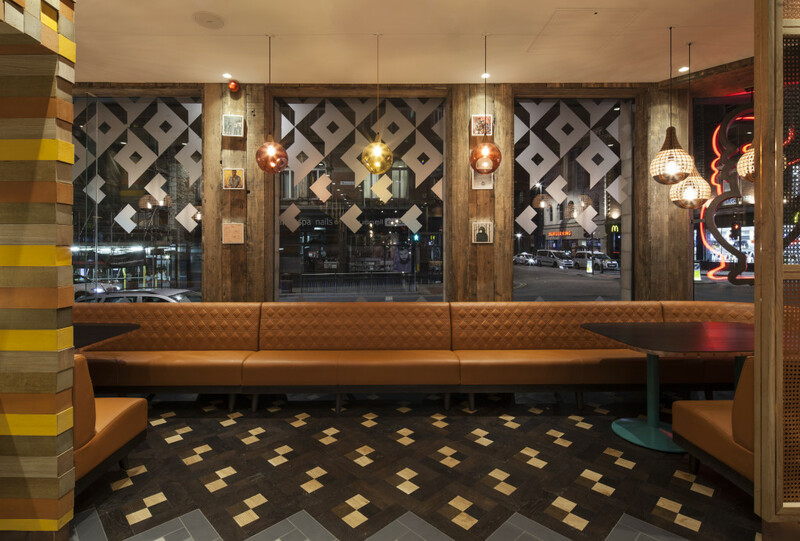 However, no matter what the challenge, whether it be the intricacies of an interior layout or one of stylistic interpretation, Craftwood has the skill and experience to contribute to a winning look every time.